My artworks are available for licensing. This includes merchandise, advertising, promotional, editorial, personal and commercial use such as background set dressings, magazine articles and album artwork. When you order a product, you are purchasing a license to use the image, not the image itself. This means that I retain all property rights and that I allow you to use the image on the terms we agree to on the license contract. Licenses include the options for once off, limited or unlimited print runs and promotional usage is permitted. The price increases as the printed copies of the image rise. If you’re interested in licensing artwork then please send me an email or message from the contacts page with the artwork name and information about how you would like to license the image. These prices are subject to change and are an estimation only. Non-profit organisations may use my art for free but only once I have approved the request and a credit is given to rgdart.com. 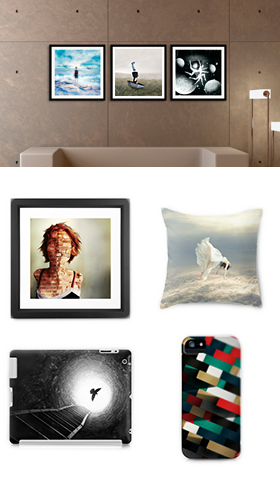 Any items displaying my artwork that are for sale (at any cost) must be paid for. Licensing for a complete season. Licensing for a full page article. Licensing is free (with conditions).